I go for a walk on the enthralling cliffs of Sandanbeki, stretching out into the Pacific Ocean. The 50 meters high towering cliffs dating back to the Tertiary period, still stand tall after centuries of erosion. Sitting on the inter-layered limestone rocks, it is scary watching the ocean’s current unleashing wave after wave, crashing up against the cliff. 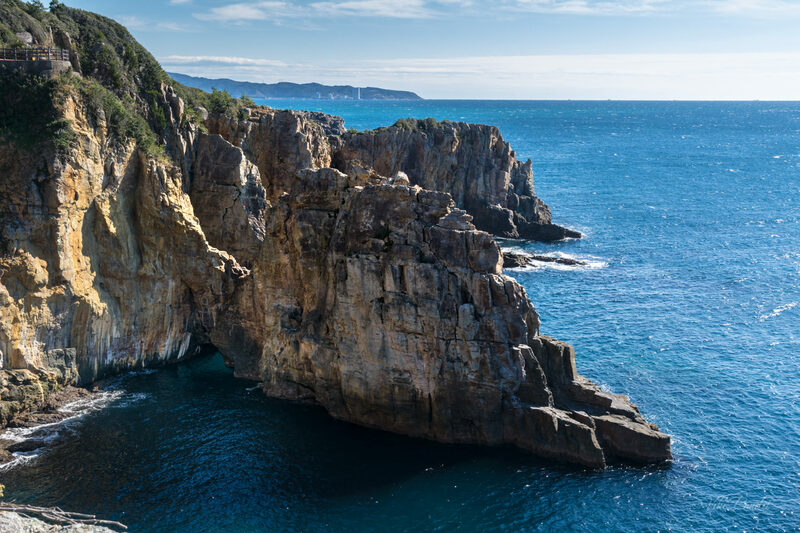 Located in Kii Peninsula, Wakayama, it has the dubious record as one of the most notorious spot on earth for suicides. Today I ride out of Nara on my own for the first time. I am headed for the beautiful town of Shirahama in Wakayama Prefecture. I woke up early and walked down to the JR Nara station at 7 am. 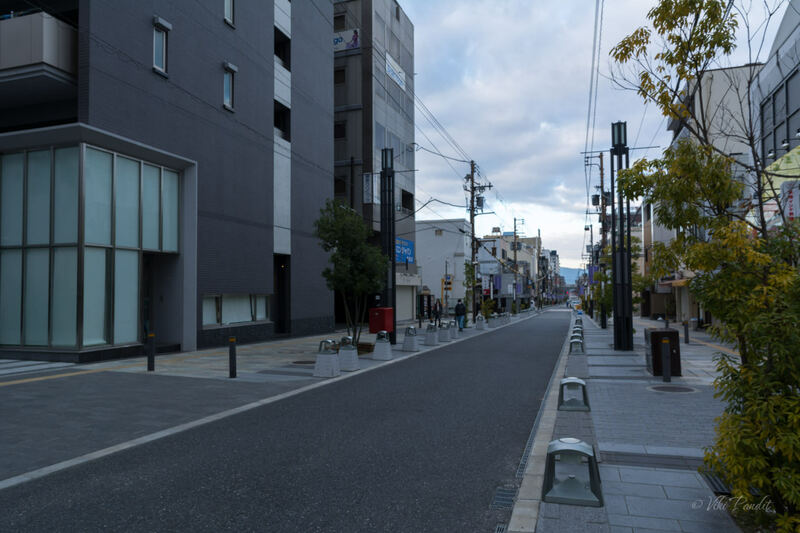 In the early morning, the streets were devoid of people. Walking past the closed stores, it took me about half an hour to reach the JR Station. I activated my 21 day JR Pass at the ticket counter and walked down to the platform. The JR Pass allows me access to unlimited rides on all JR Trains across Japan. I have a long list of amazing places on my bucket list that I hope to visit over the next 21 days. Google Maps is a great help for looking up train schedules in Japan. To go to Wakayama I had to first catch a local to Tennoji and from there change to an express train to Shirahama. The next train was scheduled after a few minutes. I grabbed a melon bread from a 7-Eleven store at the station and waited for the train. The wait wasn’t long and the train arrived in a few minutes. The local train chugged on to the platform, and luckily it was pretty empty. I grabbed a window seat. The ride to Tennoji is about 40 minutes. 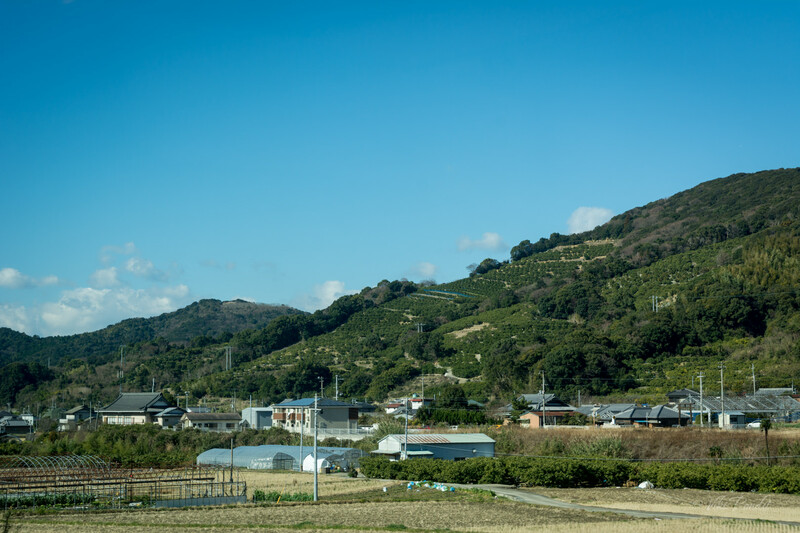 As the train sped along, I finished off the melon bread, watching the lovely countryside. At Tennoji it took a bit of hunting around to find the correct platform for the train bound for Shirahama. Without the knowledge of Japanese, it can be tough finding the correct platforms but Mani had taught me well. I caught the 9:21 am Kuroshio Limited Express to Shingu. There are no Shinkansen lines on this route and limited express trains are the fastest way to travel. 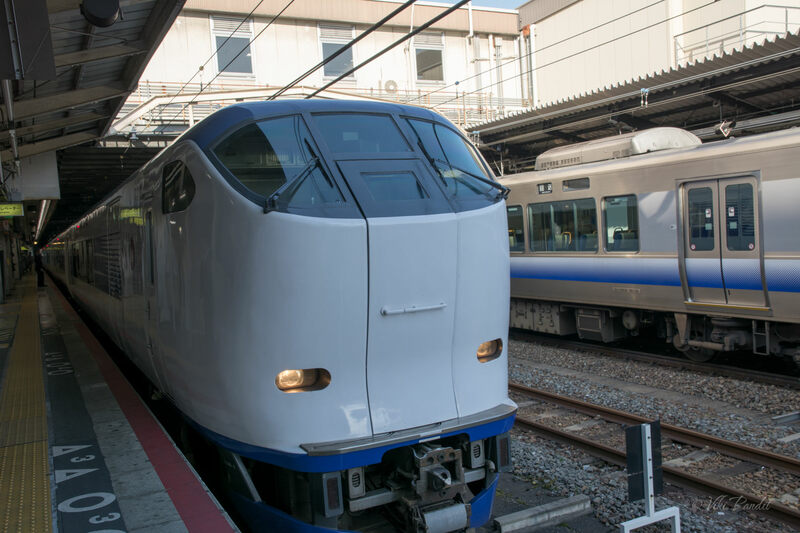 The Kuroshio Limited Express does not stop anywhere before Wakayama Station. Thereafter it stops at a few important ones, before reaching Shirahama in about 2 hours. It was a lovely sunny day with blue skies and I passed through some beautiful countryside. 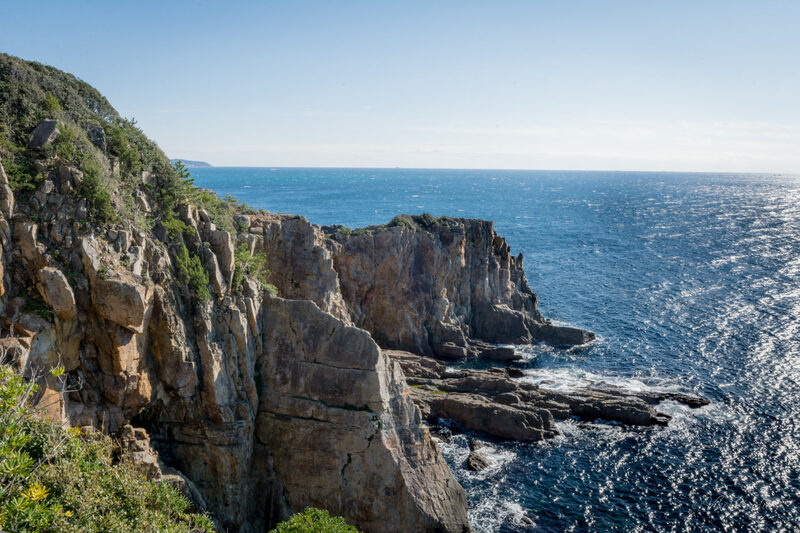 After passing through Wakayama Station, the train runs almost parallel to the coastline and the it passed by numerous cliffs. I reached Shirahama at 11.28 am. I had done my research and walked directly to the tourist information center. At the center, I explained to the lady sitting at the counter in English that I needed the full day bus pass. I also told her about the places I wished to go to. She fished out a map and drew me a route that was best for me to follow. 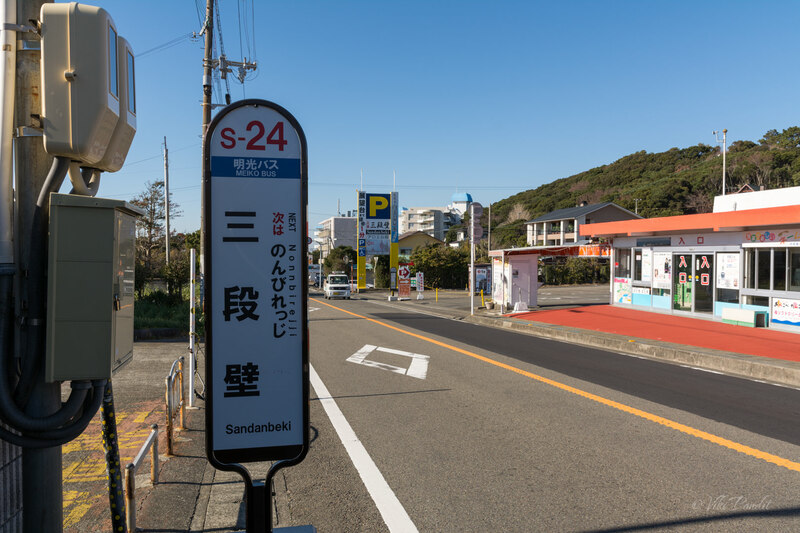 She also pointed me towards the bus ticket office which is just outside to the left of the Shirahama Station. The bus pass cost me ¥1100. There are times when I am not able to fully utilize the cost of these passes, but it gives me a sense of relief in case I make any mistake anywhere, the pass saves me the blushes. The bus to Sandanbeki Cliffs was leaving in a few minutes. I went forward and boarded the bus. A handful of chirpy Chinese tourists were also on the bus. We reached Sandanbeki Cliffs in half an hour. On the way we passed the exquisite Shirahama beach. The bus dropped us off at the Sandanbeki Cliffs stop. From the bus stop one has to walk for a few minutes towards the ocean to reach the towering cliffs. In the beautiful weather, a fat cat was lazing in the soft sun as I walked towards the ocean. At the end of the street was a narrow gravel path. After a 10 minute walk I was at the rocky cliffs overlooking the vast blue Pacific. 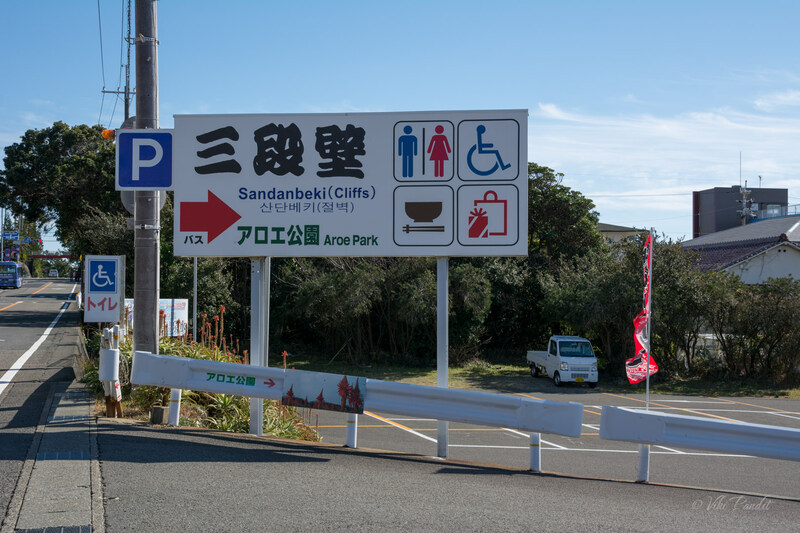 Sandanbeki translates to Three Step Cliff. There are 3 protruding rocks in the shape of a dinosaurs claws. 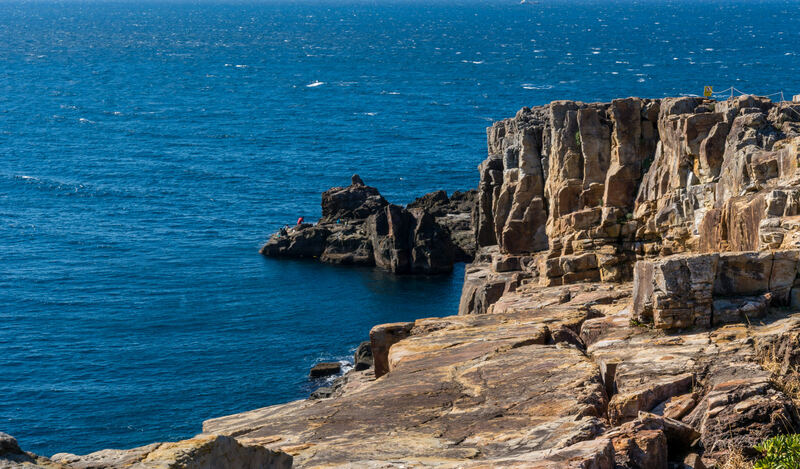 The face of the 50 meter high cliffs extend up to 2 km from south to north near the town of Sandan. Sitting down on the rocks I gazed at one of nature’s spectacular marvels – the ocean’s blue current unleashing wave after wave and sending them crashing up against the breath-taking cliffs. The cliffs are made up of tertiary rocks and there is no danger of them collapsing down into the ocean. The rocks are very similar in nature to the ones I came across at Hampi in South India. So I went forth towards the edge to have a better view over the ocean. These were enormous cliffs and it was dizzying standing at the edge. Some people had made their way down towards the lower cliffs. Not sure how they got there but I was alone and wasn’t going to try any heroism on that day. The rocks are inviting but also deadly if you fall in. I found a nice viewpoint and took some pictures. The waves were relatively calm on the day. I have seen pictures of the cliffs, whence on stormy days, the waves would lash into the top of the cliffs. Hidden at the bottom of one of these three cliffs is Sandanbeki Doukutsu, a cave where Kumano pirates of the Heian Era (794-1185) once hid their boats. The story goes that in the second half of the 8th century, during the reign of Kanmu-tenno, the sea was raided by a pirate called Tagamaru. His bunch of pirates would appear out of the blue, raid a ship and then disappear mysteriously into the sea. They were referred to as kaizoku, which literally means “sea robbers.” However they were not merely robbers and played an important role during the conflicts between the Taira and Minamoto clans in the late Heian Era. They used to operate around Kumano Onigashiro and the cave at Sandanbeki was suspected to be one of their hideouts. However looking at it, I seriously doubt a boat can make its way safely near those jagged rocks on a stormy day. Nearby there is an underground limestone cave, which is said to have been the hideaway for the pirate ships. The cave is located at sea level and can entered via an elevator. The elevator will take you 36 m below ground to the pirate’s hiding spot. The cave also features a museum. While the museum is more or less a presentation of legends and Medieval weaponry, the cave itself makes for a unique experience. But I was short on time and I had to miss out. I walked down to the other side of the cliffs. There is a safer viewpoint here, surrounded by a wooden fence. A number of seats are placed for the visitors where one can sit and watch the towering cliffs, created by the erosion of the waves. The view of the tide hitting the surface of the rock face makes one admire the strength of the cliffs that have withstood the brunt of those raging waves all these years and still stand tall to this day. 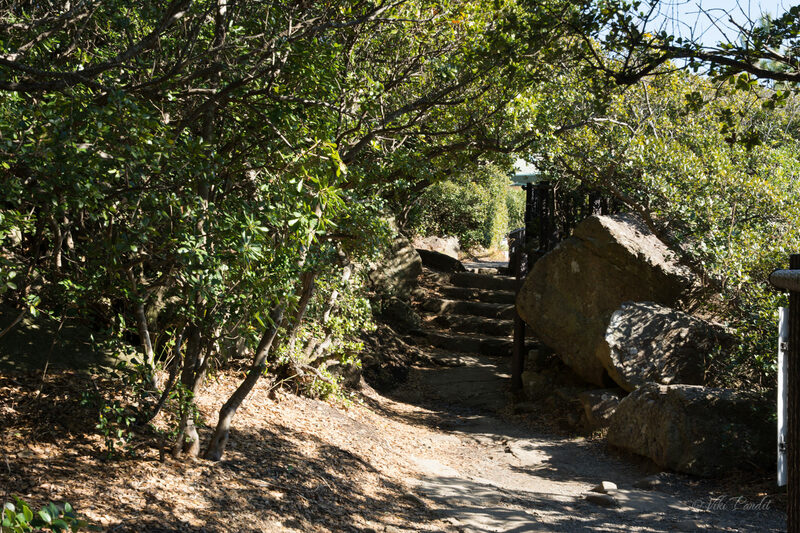 Beneath the platform or viewpoint there are some bushes and trees growing on the rocks. The much higher cliffs were to my right. From here I could feel how dangerously I had been standing a few minutes before on the edge of the cliff. It was afternoon by the time I had my fill of the place. My next stop was the Shirahama Beach so I walked down to the bus stop. Unfortunately, the bus was not scheduled to come around before an hour, so I started walking down towards the beach. The bus had passed it on the way up and it didn’t feel very far away. 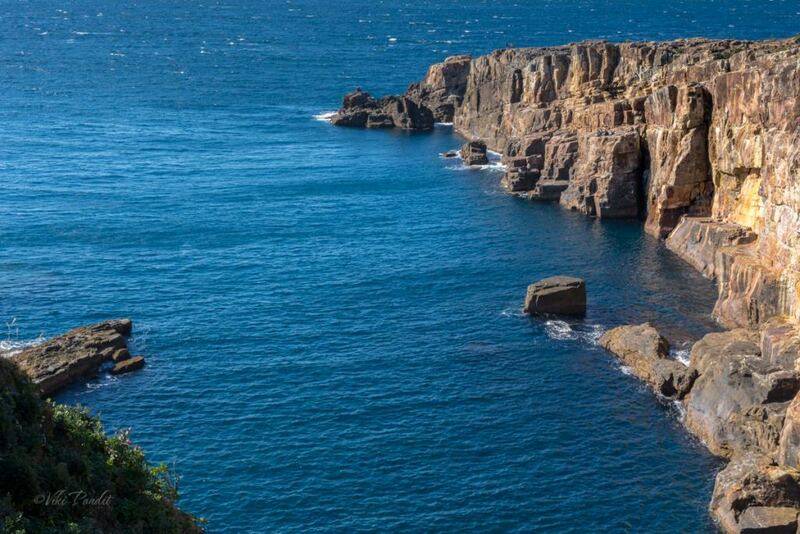 The two kilometers of steep cliffs and the raging waves striking the cliffs are certainly exciting and memorable. Photographs can never tell the emotions I felt standing on the steep cliff. I hope they can inspire some of you to reach out and witness what I have. 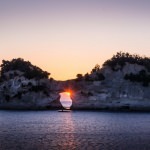 If you have the chance to tour Wakayama, do not miss this unique experience. Thanks for reading. 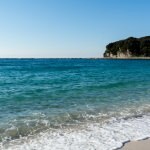 Leave me a comment or follow my story as I walk down to the white sands of Shirahama Beach.